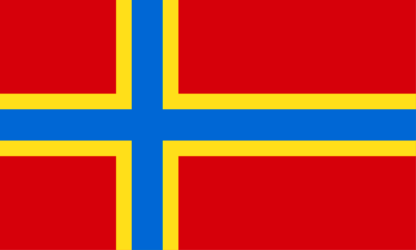 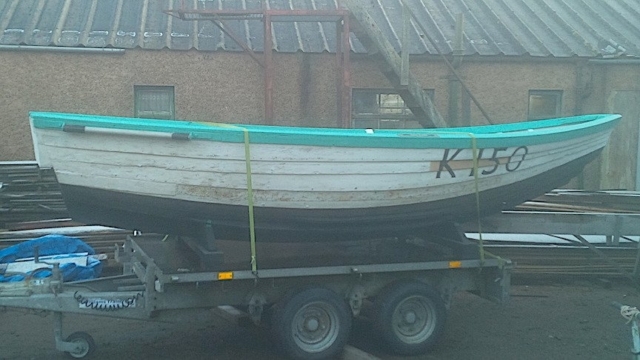 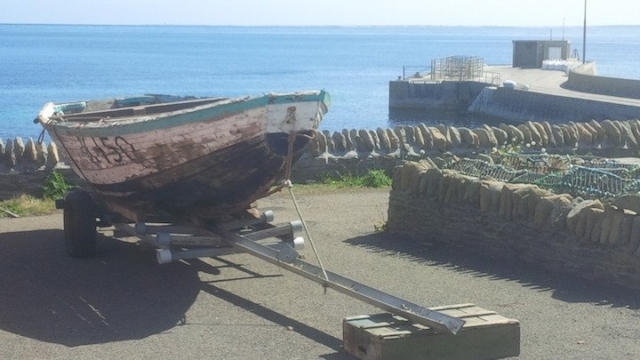 An early North Ronaldsay Praam donated to OHBS by John Tulloch, Purtabreck, North Ronaldsay. 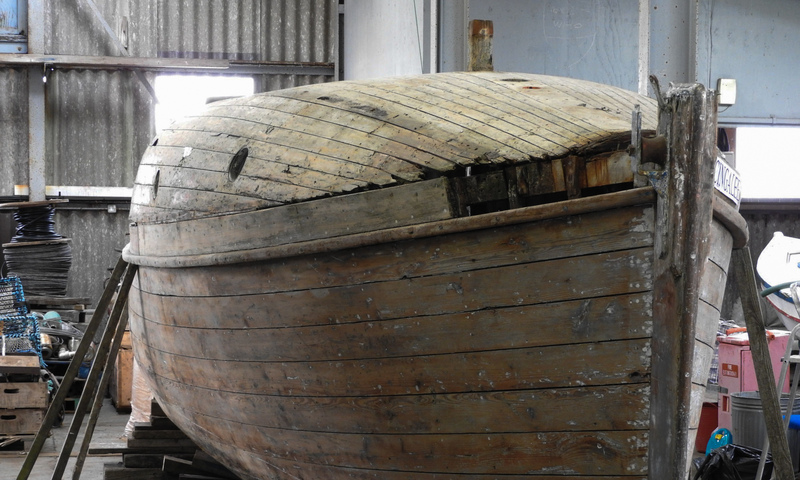 Built in 1926 at Milldam, North Ronaldsay, she has length 15.4ft, beam 6ft, and depth 2.3ft. First registered for fishing on 10.7.1940 (K49) by John William Tulloch, Ancum, North Ronaldsay for fishing with lines and creels. 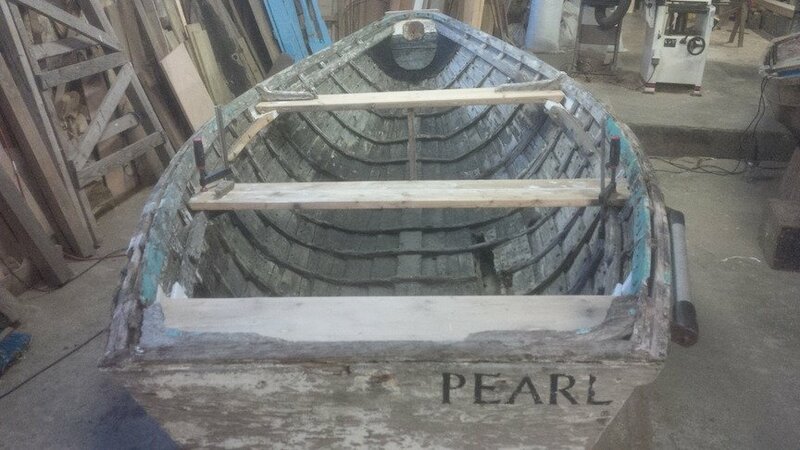 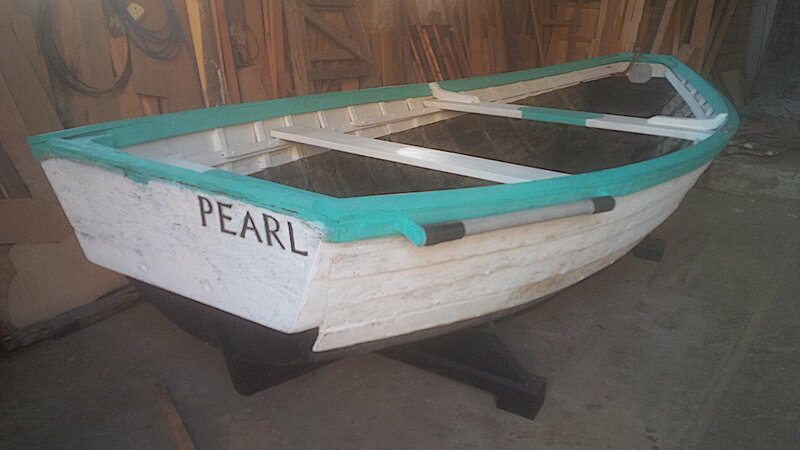 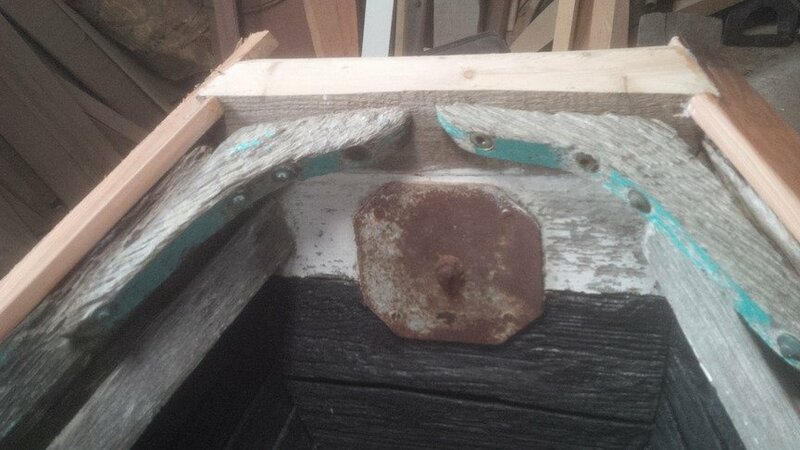 She had a lug sail and oars, but in 1948 an auxiliary outboard motor was added. This registration was cancelled on 11.11.1969. 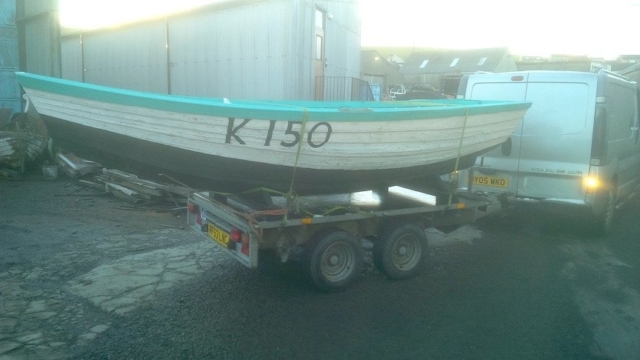 She was then re-registered for fishing on 4.5.1971 (K150) by John William Tulloch, Purtabreck, North Ronaldsay (no relation to previous owner). 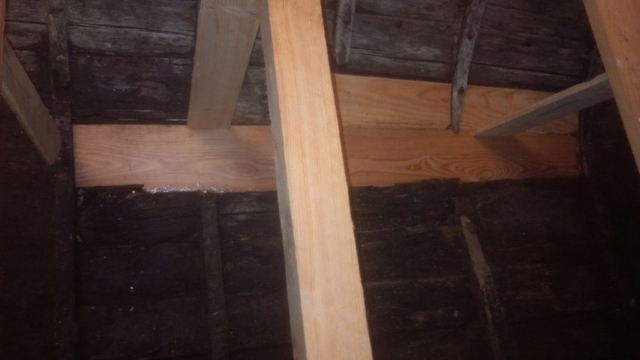 Interestingly, the length was now recorded as length 15.7ft, beam 6ft and depth 2ft. 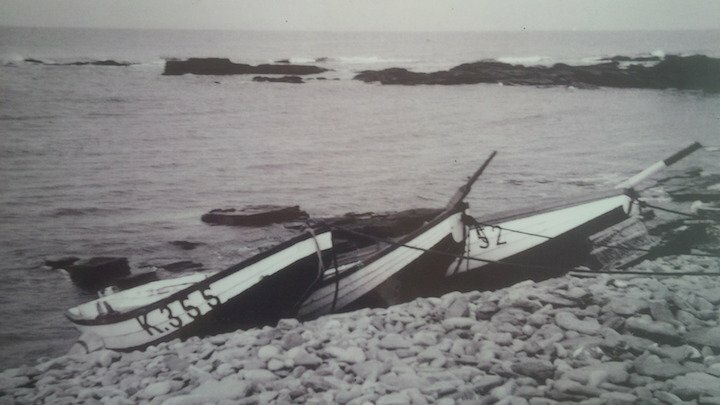 This registration was continued until 1980, and finally closed in 1988. 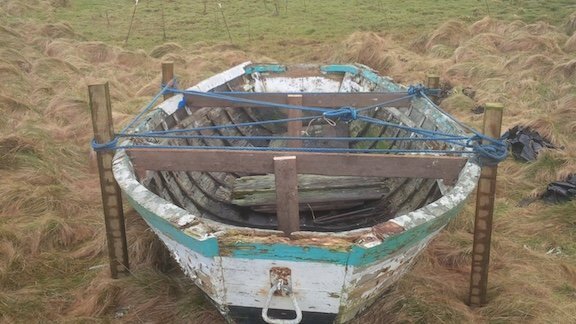 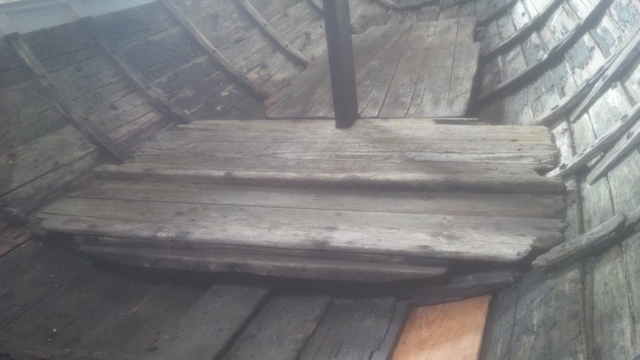 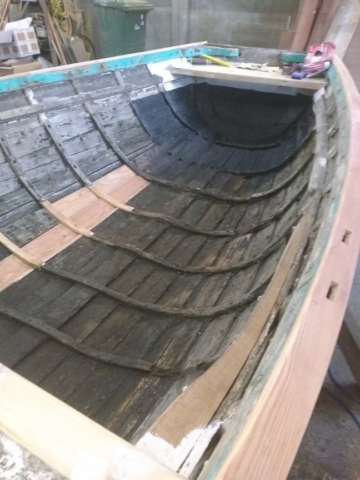 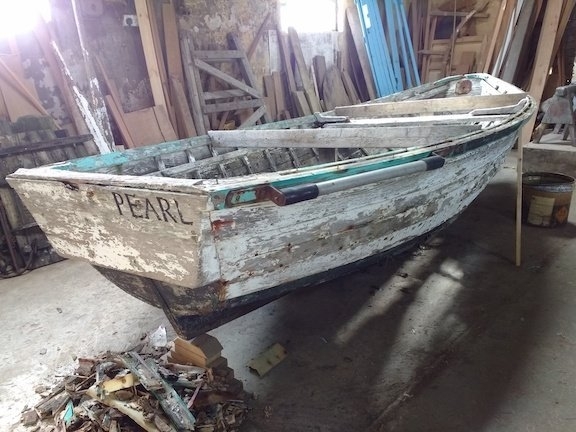 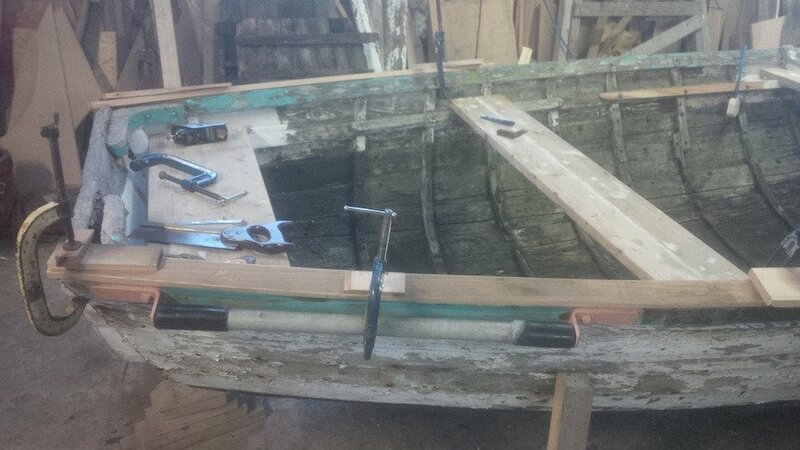 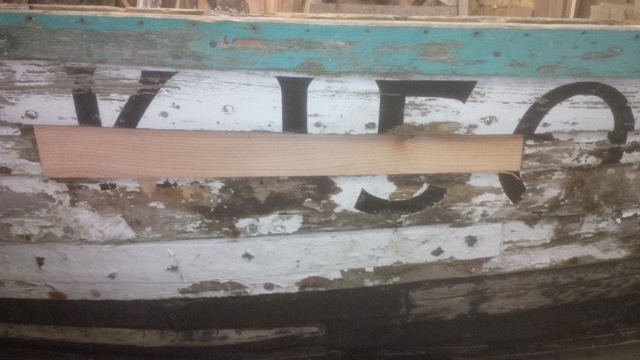 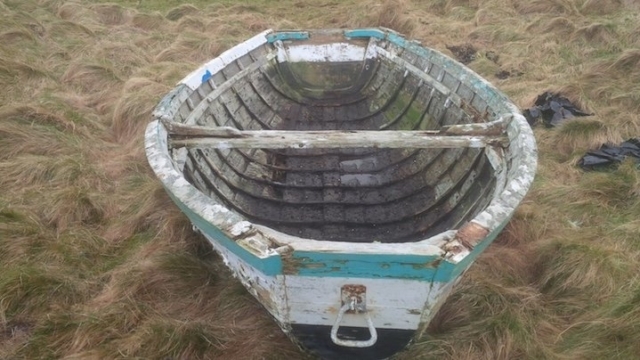 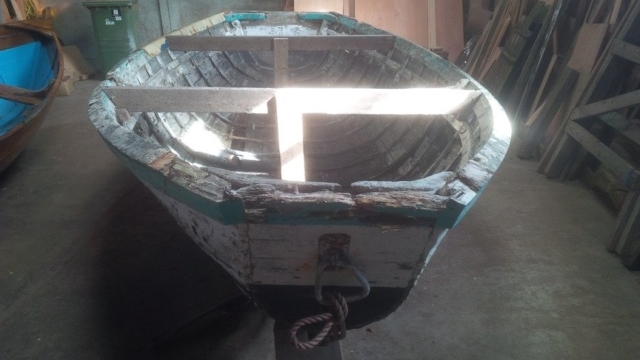 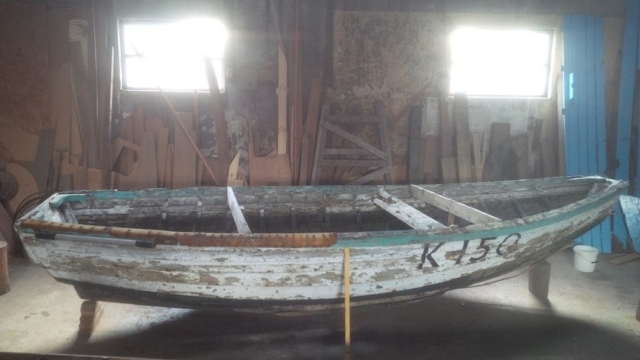 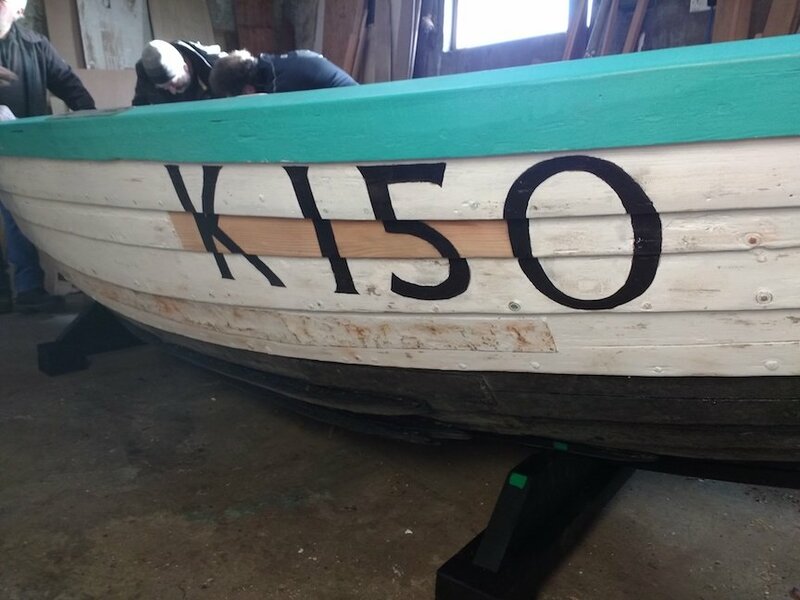 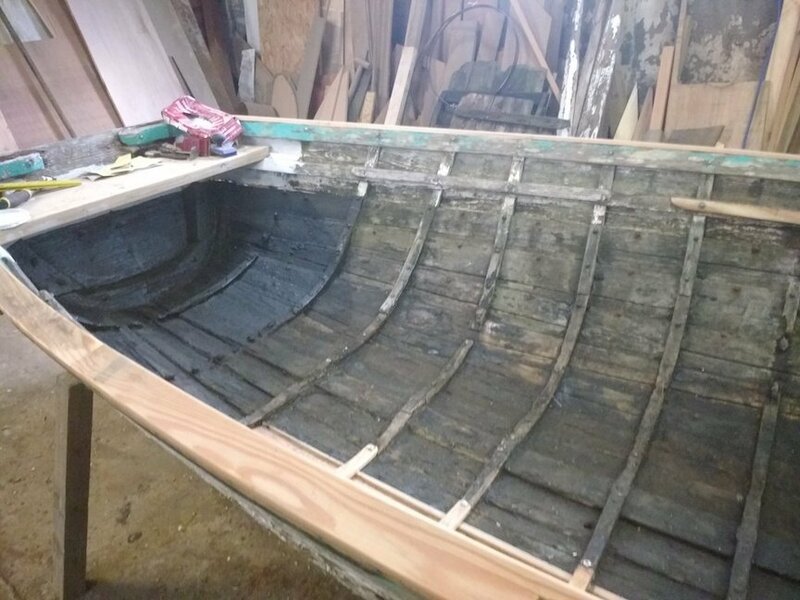 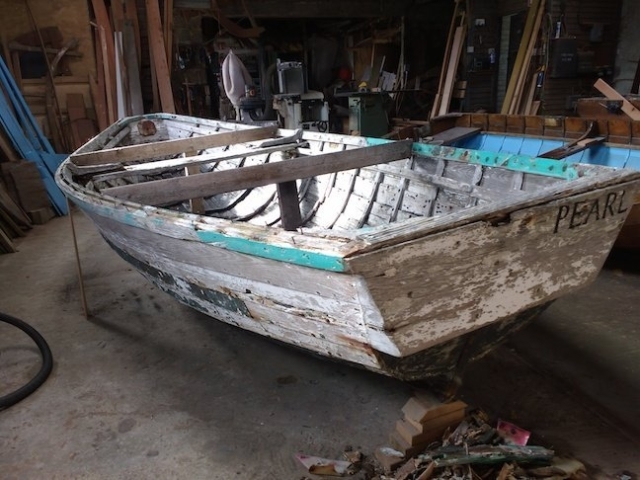 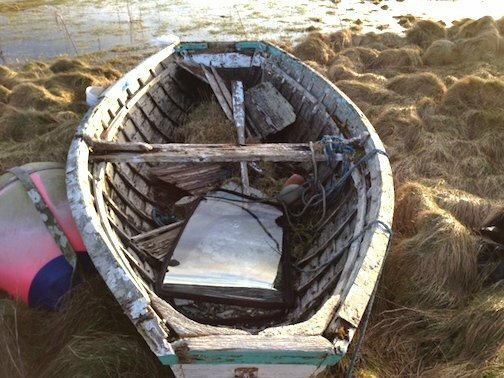 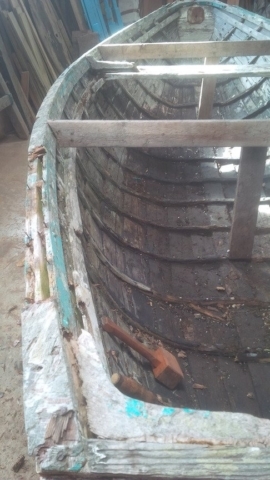 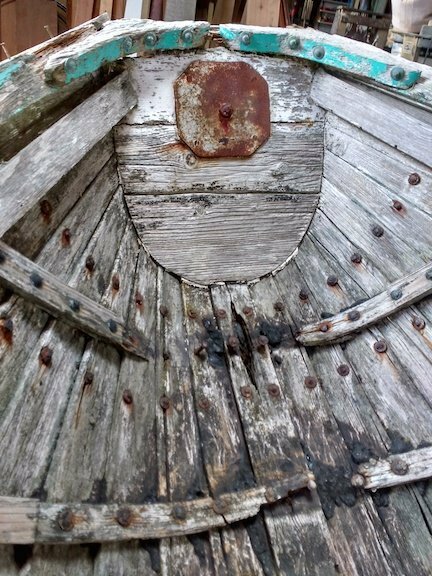 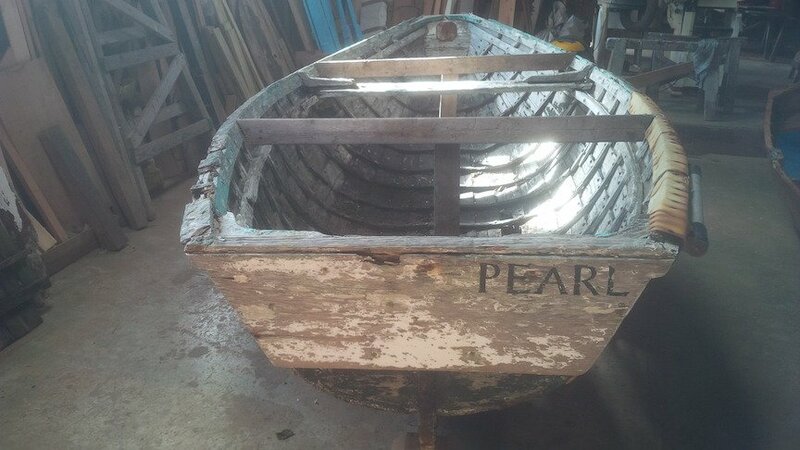 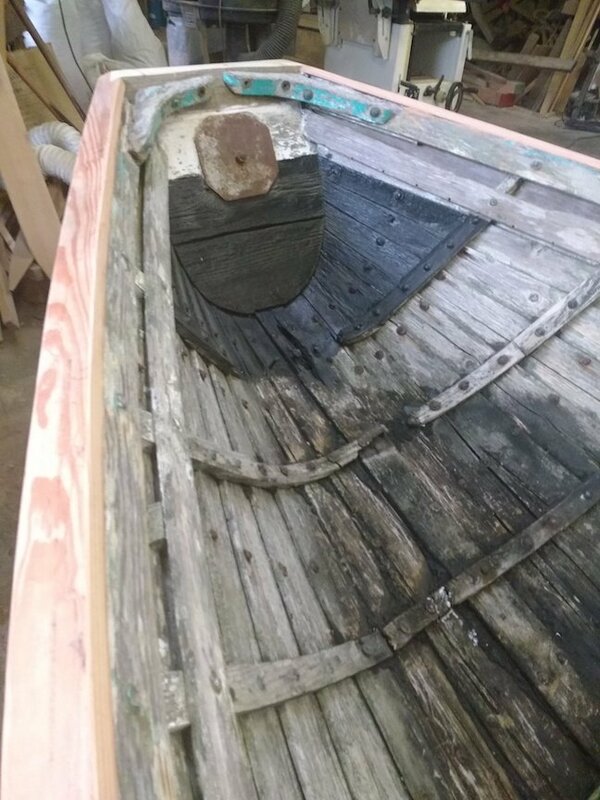 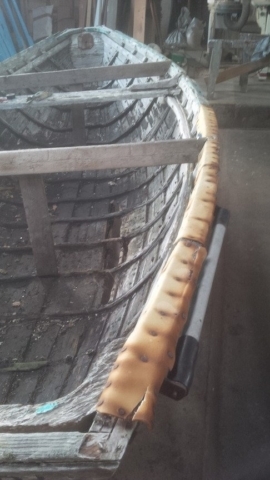 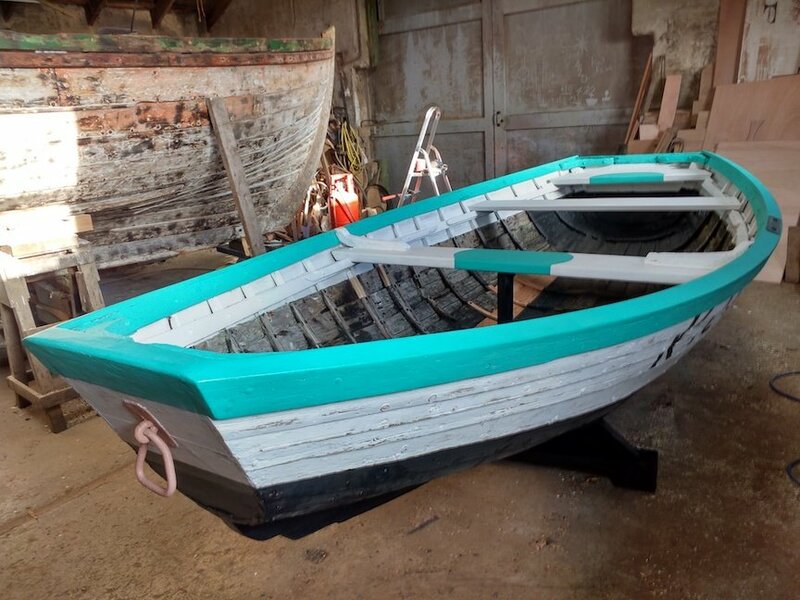 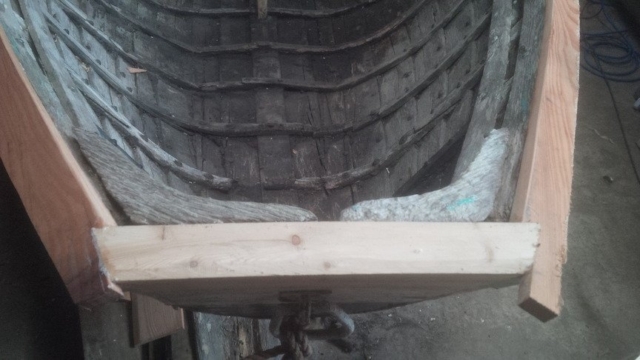 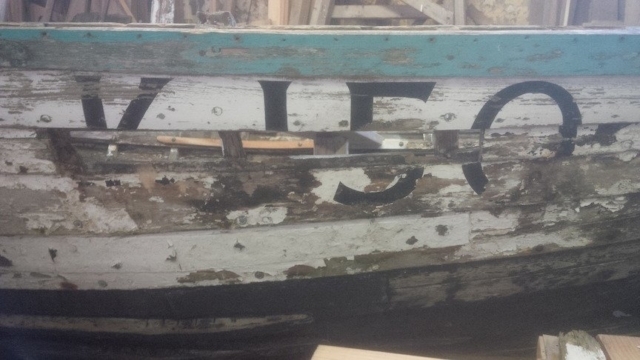 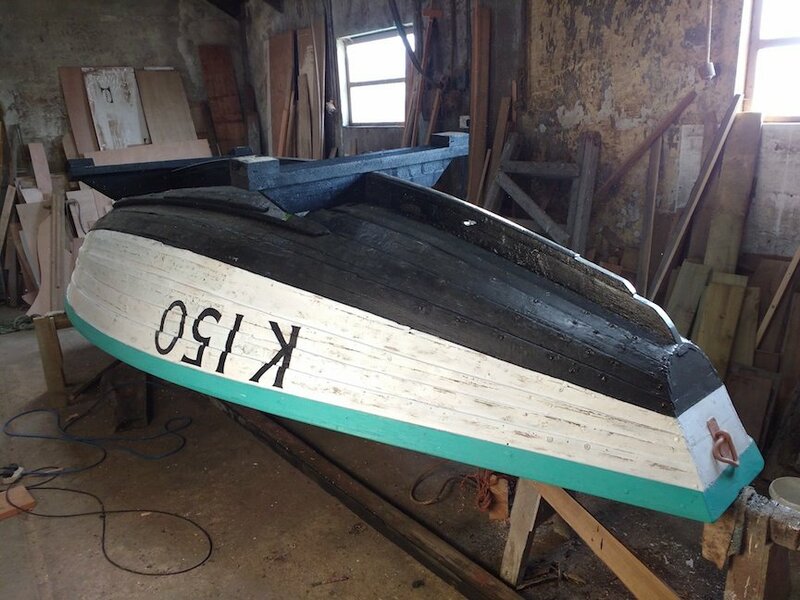 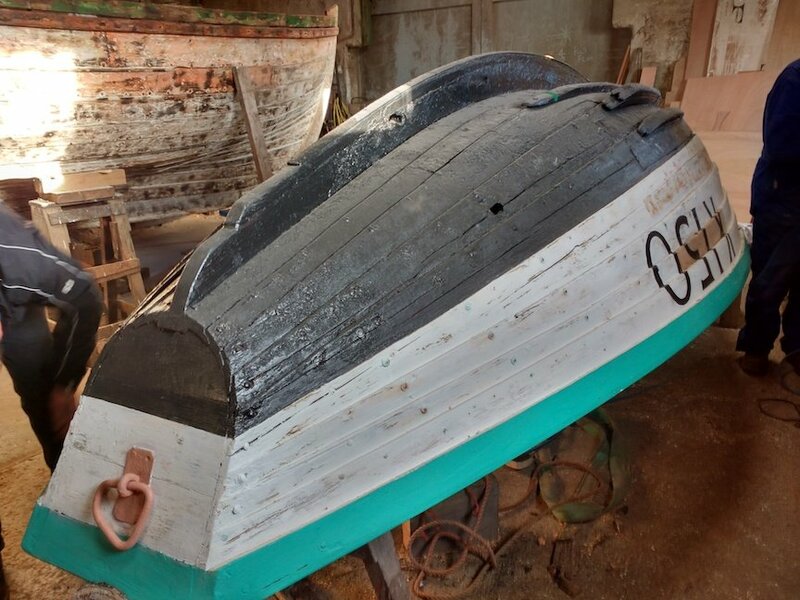 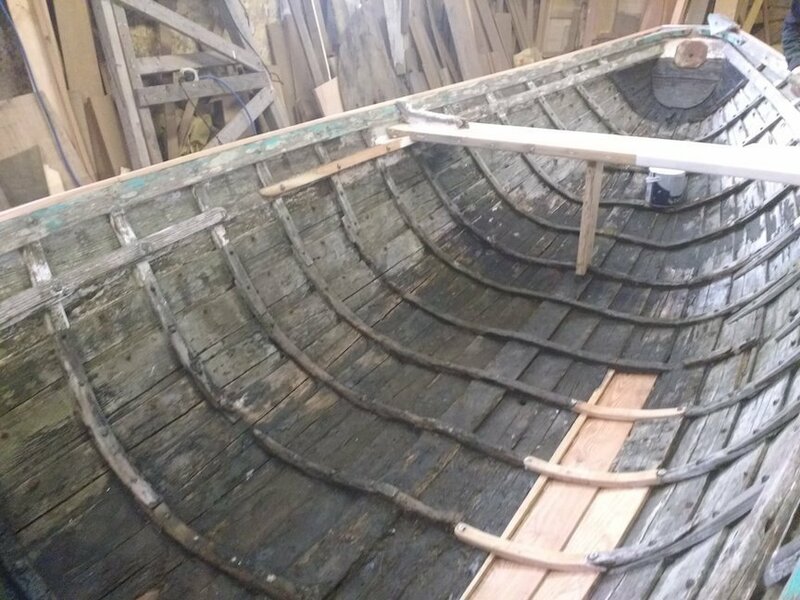 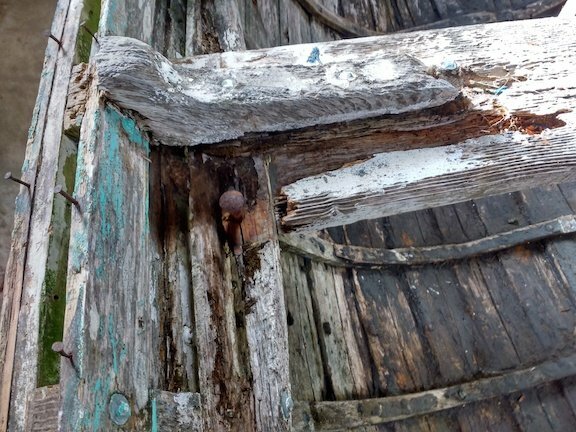 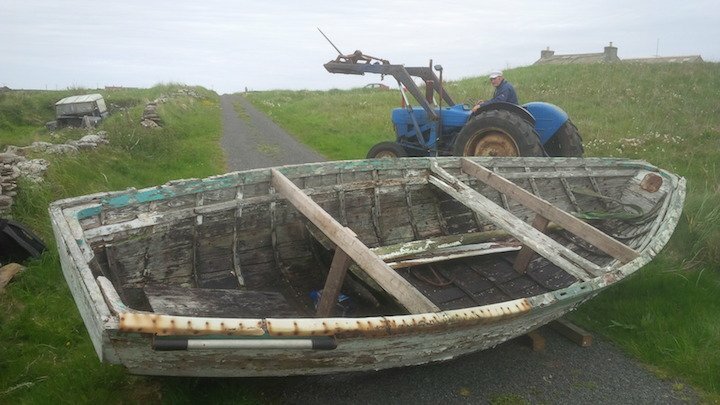 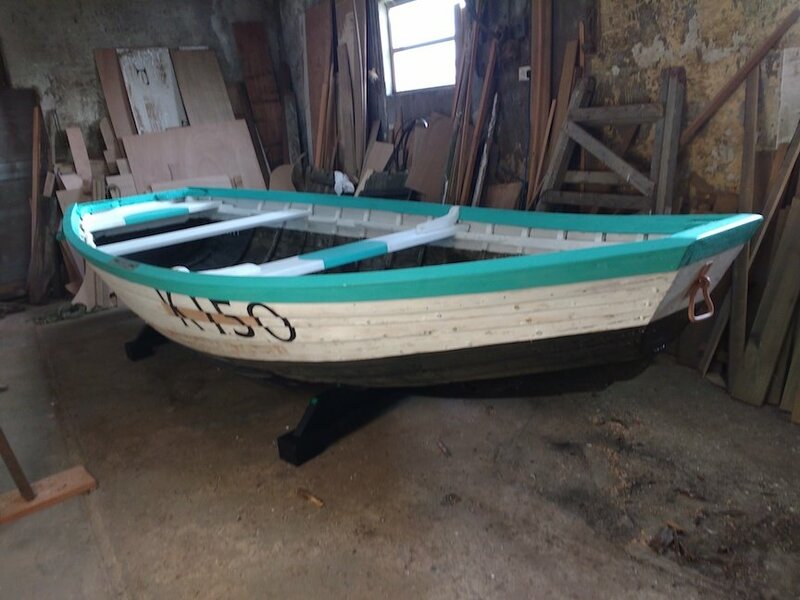 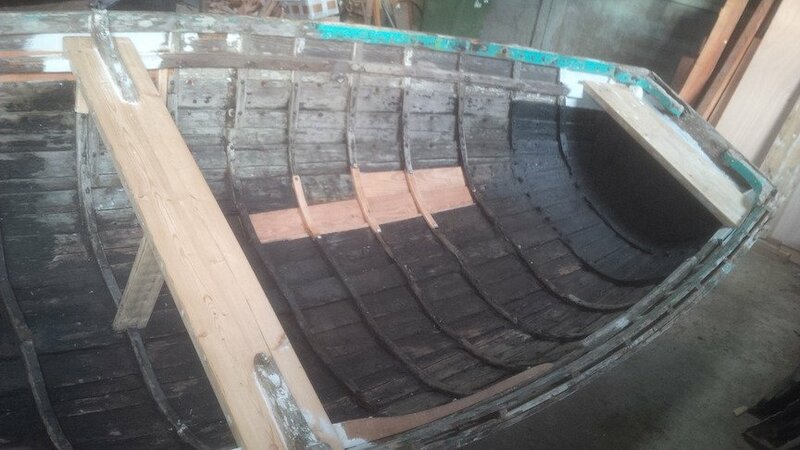 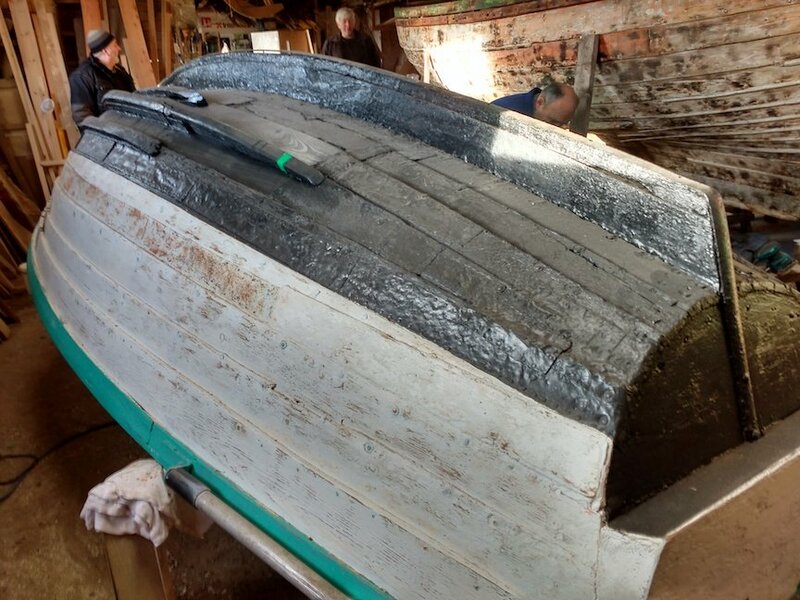 The boat was dried out early 2016 and then transferred to Ian Richardson’s boatyard in Stromness where the volunteer work to tidy her up, remove rotten wood and undertake the conservation management plan got underway. 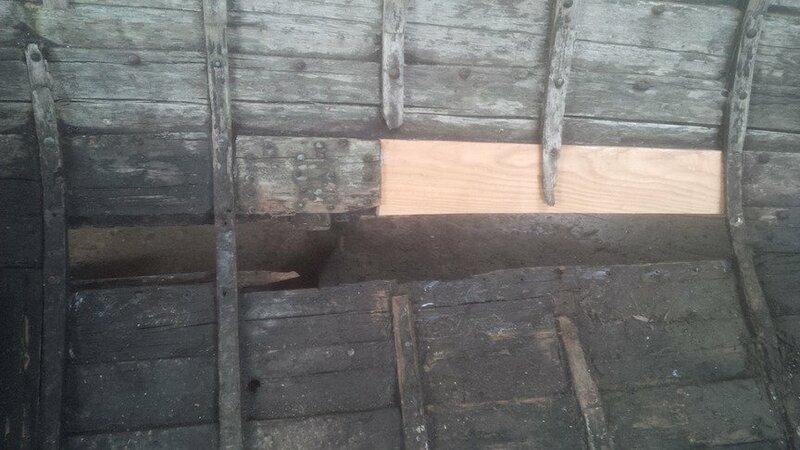 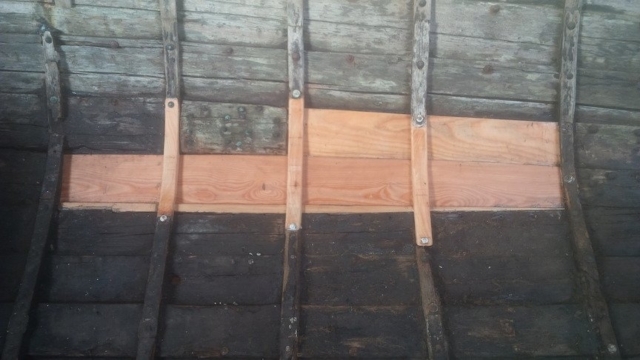 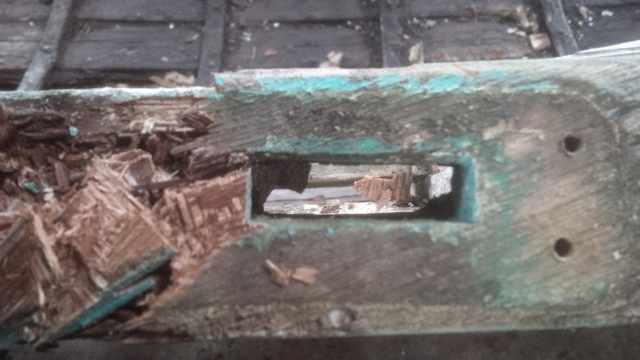 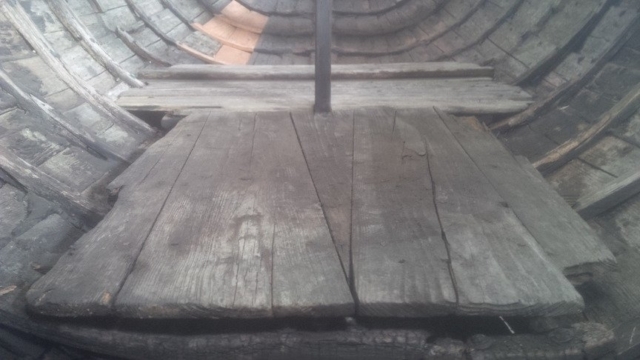 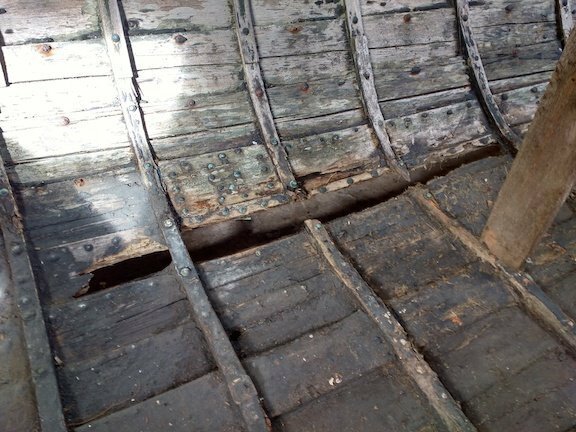 By early 2017 all rotten or missing wood was replaced, the integrity of her structure was now fully conserved. The principle used was to ‘do as little as possible, but as much as is necessary’ to stabilise her structure and finish her to museum presentation standard. 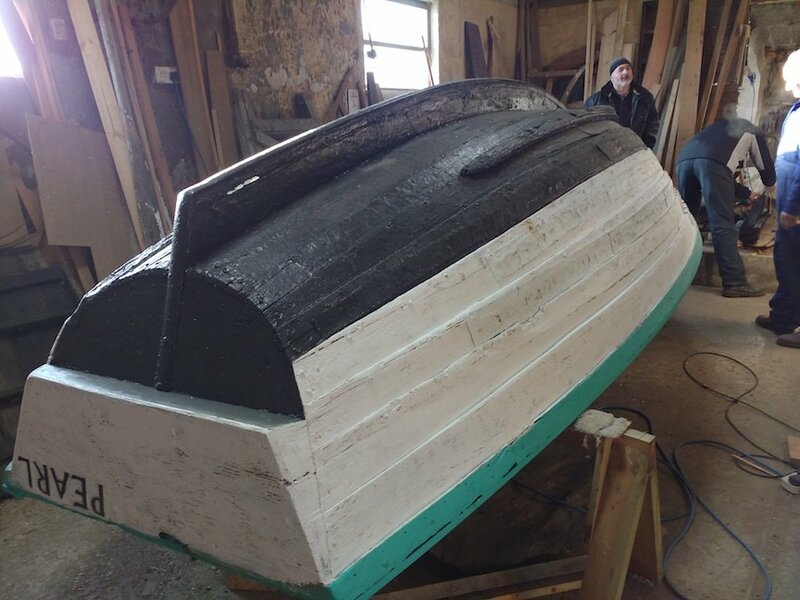 Much of this current work was carried out by our enthusiastic (and skilled) secretary, Rod Daniel, with much helpful advice from boat builder Ian Richardson.